Available NOW! $1000 per month per bedroom – ONLY 1 BEDROOMA SUITE LEFT! 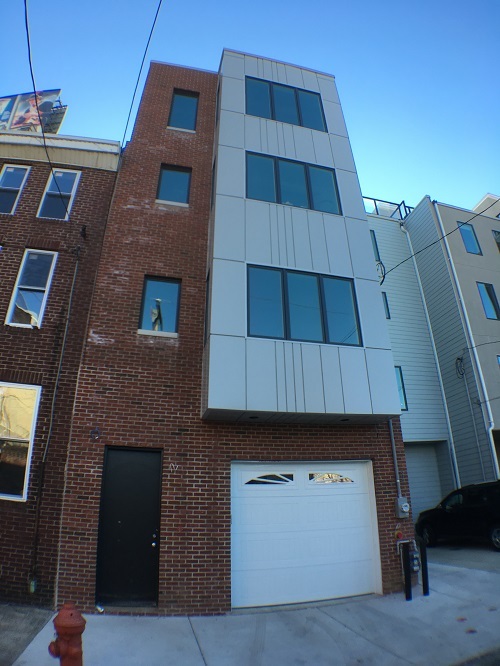 114 Pollard Street is located in the heart of Northern Liberties and all that it has to offer. Walk to the Schmidts, Liberties Walk, one of many grocery stores, the gym, the dry cleaners, or any one of the renowned bars and restaurants that make this area so alive and vibrant. Extremely close to highways for easy in and out of the city, public transit for easy access to the stadiums, the zoo, or even West Philly, and extremely close to Delaware Ave and the newly forging waterfront this City has long desired. Tons of features set this home apart from all others including the real hardwood floors throughout this 4 story home, natural sunlight that pours into every room at all times throughout the day. The custom kitchen with all wood cabinets, stainless steel full size appliances, and of course granite counter tops is great for hosting dinner parties and more! All Rooms are extremely spacious with good closet space, ceiling fans, and of course each bedroom will have its own bathroom. Tall ceilings throughout the home make it feel even larger and recessed lighting throughout the home give each room distinct luxury lighting appeal. Amazing Space, Amazing Location – Truly a must see. Contact Bryan today to find out more and schedule your showing soon. Pictures to be updated periodically as more work is completed.